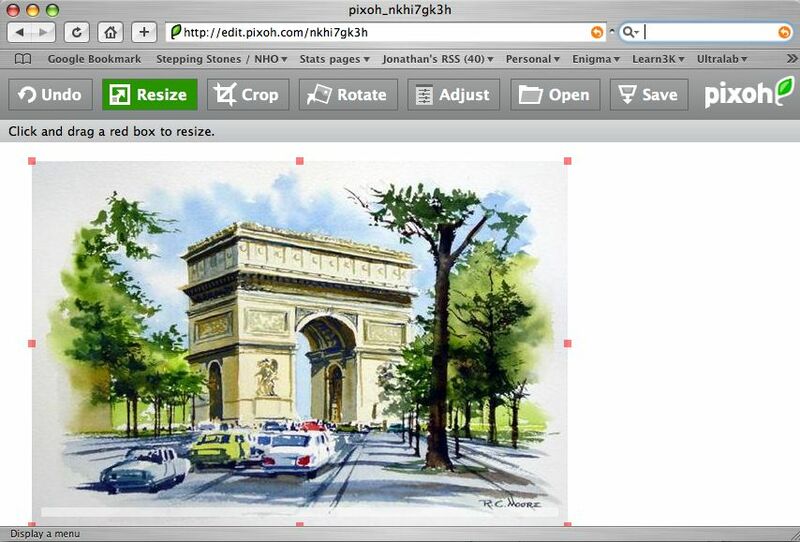 Pixoh - Great online tool... and does most of what you need for simple image manipulation. 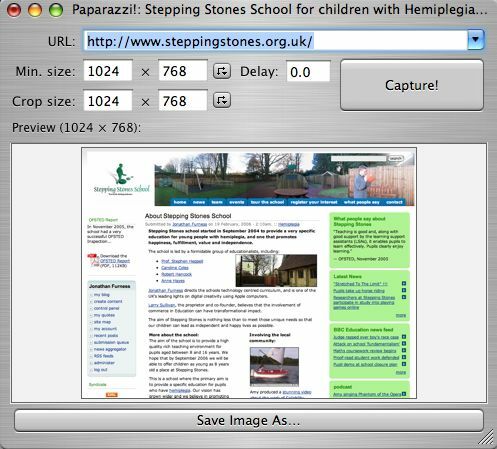 There now needs to be some way of interfacing this tool with content management systems so that users can edit images within their own sites, eliminating the need to store the image somewhere and subsequently link to it. Flickr comes the closest through using RSS. This website, Simply Google (from Confusability) shows just how extensive Google has become with its range of services and tools. Google's software is very well implemented and deployed. What I'd like to see now is how all these tools fit together, in some sort of diagram. The connections between Google Maps, Google Mail, Google Talk, Google Calendar are clearly signs of how a Google Community platform could exist in the near future. However, it needs some sort of adhesive to join these tools together before this can happen. This diagram, produced in November 2003 whilst working at Ultralab, shows our thinking about the components of online community software. I wonder if Google has a community-ware product in mind or just a strong adhesive? No surprise really, Google is rapidly rolling out its portfolio of social software tools, so quickly in fact that this feels like a weekly event nowadays. 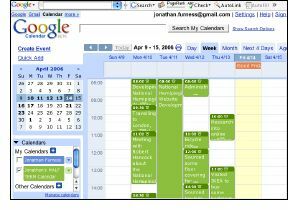 The latest offering is Google Calendar - a very capable online diary tool, which uses Ajax for excellent interface features. 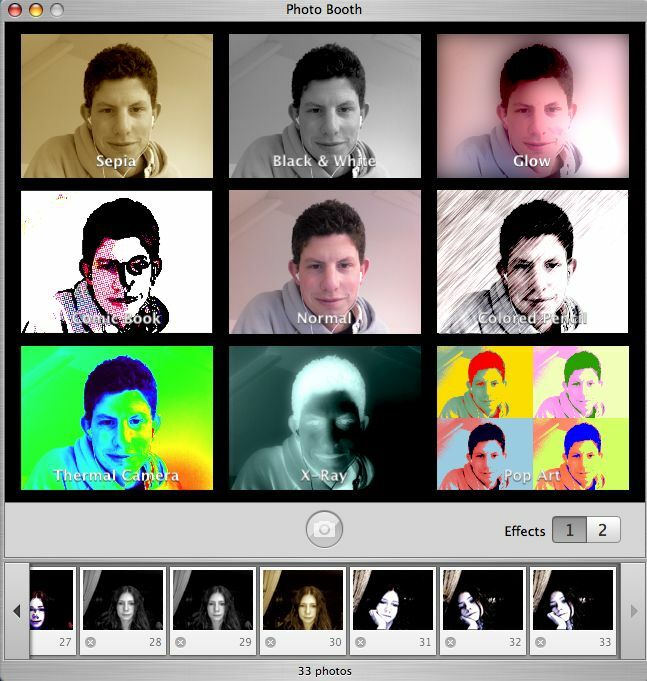 drag and drop interface (Ajax technology), very intuitive and easy to use. adding, editing, moving events is snappy, just as you need it to be. In fact, I found it noticeably quicker than Apple's iCal diary application. This alone makes Google Calendar attractive. imports your existing calendar files from iCal or CSV format files. Share your calendar with groups of people, and set security options about who can see what events. Uses RSS (XML) and iCal format files. I am very impressed and seriously considering using Google Calendar over my existing setup, using Apple's iCal client software and Mac OS X server software with WebDav running for web accessible diary and sharing. ...and how to subscribe to a Google Calendar from Mac OS X iCal. Here is my public Google calendar in RSS format showing events this week. I often think a list of bookmarked websites are such an uninspiring way of presenting your favourite sites, and quite often I can't associate the website's title with what I am looking for anyway. What I need is a way of browsing my favourite websites with a thumbnail view of the bookmarked page. 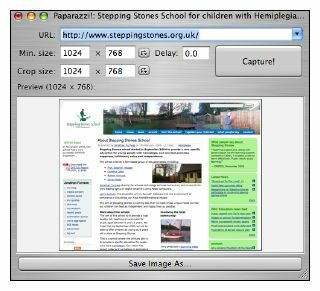 Paparazzi captures the website page as a graphic which I could then AppleScript to build a single page of bookmarked sites, with images. I used this application recently to create an offline website for use on laptop computer in the absence of an Internet connection, when applications like SiteSucker and WebSucker wouldn't work for certain sites. Ever since the early stages of designing a brand new school, Stepping Stones, there has always been a desire to allow the local community to see some of the wonderful work that takes place inside the school. 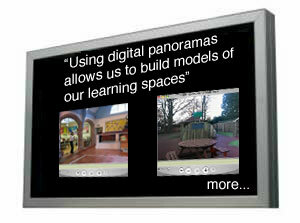 The solution lies in bolting a large flat panel screen to the outside wall, with a cable running to a computer situated inside the school and which provides a rolling display of the children's digital portfolio. One of the major concerns other than protecting the screen against the environment, heat, cold and moisture, is security. How could we ensure that the screen we mount on the outside wall of the school building, be secure - especially to the opportunist? Perhaps a CCTV camera would provide enough of a deterrent for the would-be-thief to reconsider their proposed actions? As you might imagine, most screens are designed for indoor use, but I have found one LCD screen which might just be suitable for our needs. Google announces that they have acquired SketchUp, the powerful 3D modelling / design software. Google maintains their promise to provide SketchUp for educational establishments. "We believe that supporting education is important. Google is committed to providing students, educators and institutions with low-cost or no-cost software licenses and resources. 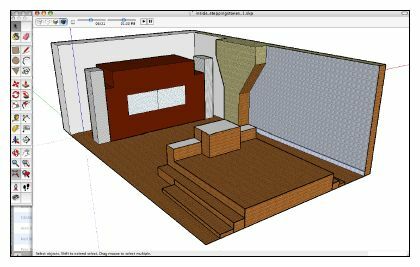 We think that SketchUp has a place in every classroom, dorm room and student laptop in the world. After all -- we live in 3D. Why shouldn't we start thinking and teaching that way?" It seems this new acquisition provides the way forward for a stronger relationship between Google Earth and SketchUp, beyond the existing plugin allowing users to create 3D models of buildings and place these on the Google Map... how cool is that!? 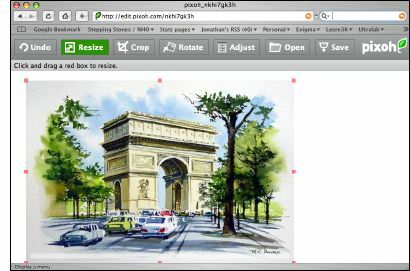 Must get some of our Stepping Stones pupils working on this, many of who have already some experience of using SketchUp. Uncovered another nasty gremlin using Intel MacBookPro machine - installing the Macromedia Flash Player Plugin for Safari was impossible. Each time I ran the installer, it appeared to install plugins into the correct places... indeed, Flock and Firefox could access the plugins ok, but Safari repeatedly failed to acknowledge they were present. See Macromedia's test page. Works fine now of course. 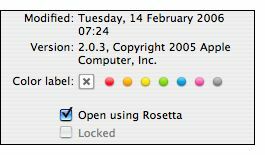 My transition to the new Intel Mac Book Pro has been reasonably seamless - nearly all the current applications work fine under Rosetta (Apple's software emulator enabling PowerPC applications to still run) which does an awesome job. However, I've stumbled across problems running Apple's Remote Desktop software - it isn't compatible. Users will note that it continually says 'The Remote Desktop Administrator software is out-of-date". Checking the Software Update tool doesn't provide any updates despite the suggestion to do so. This rather useful page outlines what software is compatible, and what isn't. See also Mac Fix It information. Some applications are a bit sluggish when launching, but in fact at a comparable speed as my old G4 PowerBook 1.25GHz. The operating system is noticeably faster - and with Intel optimised apps, this will become a little screamer. 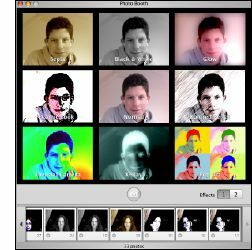 I love having the iSight camera built into the hardware, and with Apple's PhotoBooth software - this becomes a lot of fun to use. Recently, I found myself moving a MySQL database from one MySQL database server to another, causing all sorts of problems, mostly with random characters being replaced with foreign characters. I determined the problem to be related to how the data was encoded, UTF-8 or latin1... and worse, sometimes a mix of the two, arghh. "Did a raw data dump (mysqldump) of the data to a regular text "dump.sql" file. (85 tables, millions of rows, an 8 gig dump)"
60 hours later, here is Derek's solution. "LESSON LEARNED: KEEP EVERYTHING IN UTF-8, ABSOLUTELY EVERYWHERE, FROM DAY ONE. You'll be glad you did some day." Technology really shouldn't be this hard. I received a telephone call from a journalist from the Today programme on Radio 4 wanting to understand more about citizen journalists and blogging. He stumbled across this blog site and made contact. Labour MP uses a blog to talk to his constituency. This is an example of citizen journalist Frankie Roberto, reporting on the Whale which entered the River Thames a fortnight ago. The articles he had written were submitted to Wikinews who he helped cover the news. Other instances, London bomb attacks, Tsunami relief effort are big examples of citizen bloggers. I'm struggling to find citizen journalists in Essex who blog news. Open to suggestions, please add comments below. Wikipedia might help here... particularly the links at the bottom of the page. See: Citizen journalists on Wikipedia. Although BETT runs for a final day, today, I have had a wonderful two days at the show supporting Naace members, and the odd non-naace member!) with podcasting. For many this was their first experience of what it means to podcast. They left the stand with a greater understanding of both how you might use podcasting in the world of education and learning. 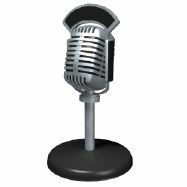 One Naace member described how she can now demonstrate podcasting to a team of teachers at a school on Tuesday - yikes! I worked alongside Stephen Powell, Jane Down and Maureen Gurr in the Naace Lounge. This new service allows users to access the past weeks' television programmes, on demand. 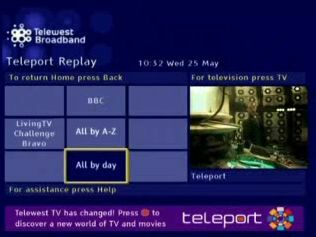 Telewest records several programmes for a select number of channels including the BBC and Bravo. This is breakthrough technology for the home user, there is no local recording device in the home, all this is streamed down the fibre optic backbone of the Telewest network. I love being able to forward, rewind and pause the recorded TV programmes. There is no additional cost to the consumer for this service, unlike the Telewest TVDrive which is a soon-to-arrive Personal Video Recorder (PVR) package for recording TV direct to a home device. This looks like a really exciting development which might overcome my PVR, Evolution TV blues. Having been a loyal customer with Easily.co.uk for the past three years, and been a strong supporter of their Control Panel and Technical support services, I have chosen to transfer this domain, jonathansblog.net to 123-reg.co.uk. 123-reg.co.uk has a better control panel which supports numerous creation of sub-domains. The Easily control panel only allows 3 subdomains to be created, although they will be upgrading this capability shortly to allow users to submit more.... hopefully infinitely more. Rather disappointingly, you may have noticed two days downtime for www.jonathansblog.net whilst this process was in full swing. The process involved in transferring a domain name is not particularly complex, but involves several organisations working together. Both Easily and 123-reg responded well to the initial request, the transfer is still in progress and should be complete in the next 3 days. However, since the WHOIS record was updated with new 123-reg.co.uk Nameservers for jonathansblog.net, the domain hosting company hadn't created a record in their name servers pointing my domain to my server. I was dismayed when the 123-reg technical team didn't respond to my initial emails requesting support. Their 50p per minute telephone number wasn't working either. In the end I bombarded their team with emails asking for help, until someone replied with some advice. Sadly the advice suggested I should wait the 5 days for the transfer of domain name as it was 'preferred' that their nameservers weren't amended until the process had completed - nevermind the fact I was running a live website that hadn't expected to be unavailable for so long. The upshot is that the team have kindly pointed the sub-domain to the right server, and we are back online once again. Welcome back, campers! I am still waiting for the full transfer or domain name from one company to another and access my new control panel, but at least my visitors are active once again. It reminds me once again to get the best package with the right level of support, anything else just won't do. Every so often I get the chance to play with some new piece of kit... call me geeky, but it's kinda fun. This time I have an Optorite Laser Mouse from Kinnovation to play with. 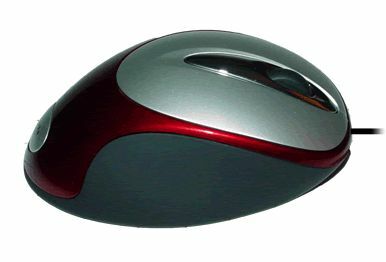 The mouse looks rather sleek and space-age. Although slightly bulky, it's not really a portable mouse as such, but one you'd have by your side on a work surface. However, from an ergonomic perspective, this one ticks all but one of the boxes. The thumb sits comfortably in the curvaceous groove, with a click switch just above it. The index finger and third finger rests beautifully above the right and left mouse buttons. A roller ball switch sits between the two mouse buttons. I'm hoping Kinnovation begin work on a mouse for left-handed people... something that I believe is a essential - we simply don't do enough to cater for people's individual needs. Maybe the company have left handed mice for sale, but this isn't obvious from the website. One other thing that I like about the mouse is its weight... it weighs very little. The lightweight design makes using the mouse a dream. Tracking is very sensitive, but this is easily adjusted by the operating system's control. 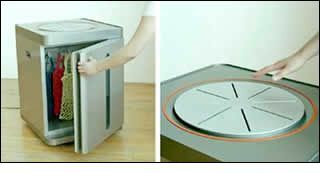 This fridge uses excess heat from the condenser (usually on the back of most household appliances) and directs this to a 'hot plate' situated on top of the unit. Okay, so Google have just released their latest service, Google Talk - this is yet another Instant Messenger chat service but with computer to computer voice telephony as well. I'm slightly concerned that Google is looking like another Microsoft or Tesco - a one place stop for all your needs. In some ways this is nice... take Apple's iLife suite of applications... I enjoy having them all work seamlessly together - but I'm not sure I'm ready for Google to rule the (Internet) world, just yet. Interestingly enough, the uptake of IP telephony has been slow, apart from local telephone networks set up in offices, yet we've had Skype and Sipgate for some time now. If you remember the take up of Google's search engine several years ago, this could spark a real shake-up for BT and other telephone providers if the same success if achieved with full release of Google Talk. Plone is a content management system (CMS) or framework (CMF) as it is termed by the people at Plone. Essentially, Plone allows you to build complex websites where the data or content is stored within a database. This helps to organise your data or represent it in whichever way you please. Plone is particularly strong on building a sense of community, with a sound notion of Users and Groups and Privileges system, and is one of the defining factors why we are building the next Ultralab website and Ultraversity Portfolio/Community spaces using this tool. Over the past 2 months, there has been an enormous learning curve to master - and we aren't there yet, but with each challenge, we seem to learn something new. Some things are still a mystery... like getting the FeedParser (RSS) to function from within ContentPanels (a Plone product) One of the most significant struggles is learning a new programming language, Python. Luckily, it is said that Python was a language developed to help people learn about programming. Shouldn't too hard then if you don't mind all the dots. Python.is.a.dot.programming.language ! Also, I've learnt about Subversion (a software application to manage version control) Thanks to Chris Davis, I've managed to make sense of the download and installation of Subversion. Thanks Chris. The web is just so handy for finding and learning new things. Now all I need to do is find out what happens to our development work when we import the site into the new version of Plone. The intention here, rather like the Computer Bus on the Isle of Man, is to provide more opportunities for children to become involved in digital creativity projects, using video, animation, graphic design applications. So far the bodywork has been re-sprayed, and work to the inside of the bus is set to be carried out anytime soon. The most pressing need right now is to brainstorm the layout for the inside of the bus. It will need to accommodate working spaces for children using computers, which are likely to be portable Apple iBook computers. The bus must also ensure that wheelchair users can access at least the lower deck and this means that the upper deck can't have an exclusive facilities or technology which isn't accessible from anywhere else. 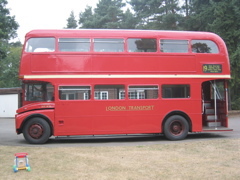 So your thoughts please, we have a double decker bus to design and construct. This is an exciting opportunity and we want to get it right. There were some quite tricky questions (!) 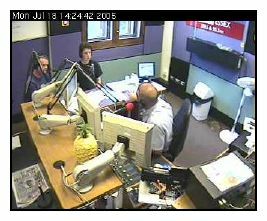 from the listeners, and towards the end, the phone lines were heaving with callers wanting to ask their questions, pity the programme ran for just the hour! The programme will feature a discussion about blogging and podcasting plus the usual phone-in with listener's computer problems. With the advent of (Tiger's) Dashboard widgets, I've chosen not to install Konfabulator and the Page Rank Widget... I figured that one set of Widgets is enough for anyone... plus the floating panel was either always hidden behind browser windows or on top getting in the way!